First off, shout out to my sister Emily, who turns 18 YEARS OLD today! Where does the time go?? We keep going strong here in Rural. Unfortunately, our investigator Gxxx that was going to be baptized this coming Saturday didn't come to church today... Satan is real. We were pretty sad, because we were so excited for her to be baptized this coming week, and because she has gained a great testimony of prayer and scripture reading. She knows that the church is true, and that coming to church will help her, but sometimes family activities on Sundays can make it hard. We're going to visit her today and hopefully we can set another baptismal date for the coming weeks. We continue to receive referrals like crazy! It's awesome, but we can barely keep on top of them all. It's great, because it stretches us to use our time wisely and not lose a moment. We have a capilla abierta in two weeks, so we are also working like crazy to invite everyone to come, and to get all of the members excited about the activity. I know that if we work together as members and missionaries we will see many miracles in that activity. So excited! Also, Dxxx and Nxxx came back from vacations, so we can start visiting them again! They are super ready for baptism, so we're excited to start teaching them again and help them make those covenants. Mxxx and Dxxx just need to get married. They are seriously like members without being baptized. They know pretty much everything, they come to church, they pray, they feed the missionaries, sometimes multiple times a week. They are prepared! Yesterday, Elder Carrion and I did a tour of all the apartments in the Concordia zone. We woke up at 5am to leave at 6am (it's about a 4 hour drive from Santa Fe to Concordia). We got there about 10am. We spent most of the day passing by apartments, Elder Carrion making sure to take notes of everything, and then we headed back, getting back to Santa Fe about 10pm. But we had a great experience, after leaving one of the apartments, as we went to the car, we ran into a police officer who was on patrol (here in Argentina, most of the police are on street corners, or have a block that they cover by foot). 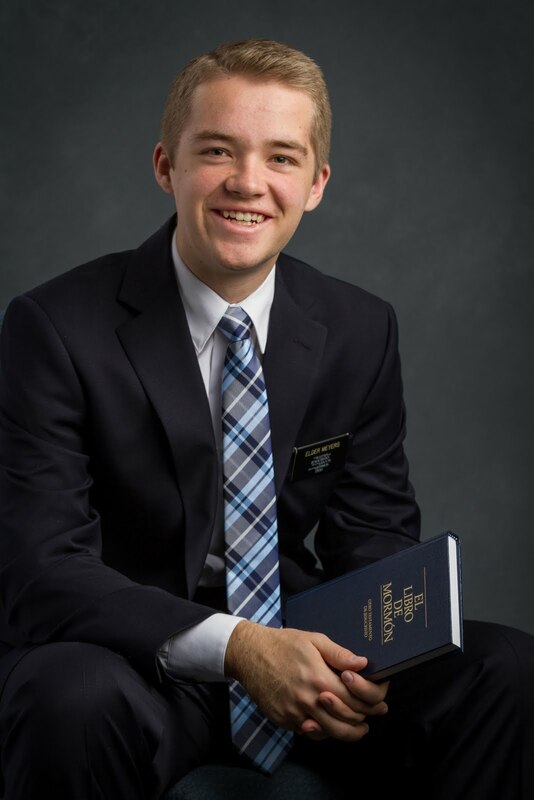 He started to talk to us, asking us if the missionaries had changed, since where they lived was his block and he saw them almost every day. We started talking, and ended up having a 40 minute conversation about the Restoration. In the end, he didn't accept the invitation to visit him at his home, but we planted the seed, and he seemed to think about it a great deal. It reminded me of the importance to be missionaries at all times and in all places, even when we're doing office work and apartment inventories, we are still missionaries, and are still called to share the gospel. I love being a missionary. We do not have to cry unto him with many words. We do not have to weary him with long prayers. What we do need, and what we should do as Latter-day Saints, for our own good, is to go before him often, to witness unto him that we remember him and that we are willing to take upon us his name, keep his commandments, work righteousness; and that we desire his Spirit to help us. As we pray often, we witness to the Lord that we always remember Him, and that we are worthy of the blessing of His Spirit. It is less in what we say in our prayers, or what words we use, and so much more in how often we do it. When we cry unto the Lord day and night, we come closer to Him, and we truly come to understand what it is to "always remember Him". May we each pray a little more often and a little more sincerely every day, that we may come to know our Father in Heaven and His will for us. Ok, so this sign is a sign for the coordinated traffic lights here called onda verde (green wave, more or less). Basically if you hit a green light, you hit the next twenty green lights in a row because it's all coordinated that way. Concordia! In one of the areas the missionaries live in an apartment on the 8th floor or something like that. It was pretty cool. In this picture you can kind of see a downtown area in the distance. That's Uruguay! Crazy! Elder Brown in their apartment. It was a pretty cool apartment, with a loft for them to sleep.